Instead of hearing 80 speakers from the public, City Council voted today to defer hearings until a later consulation. 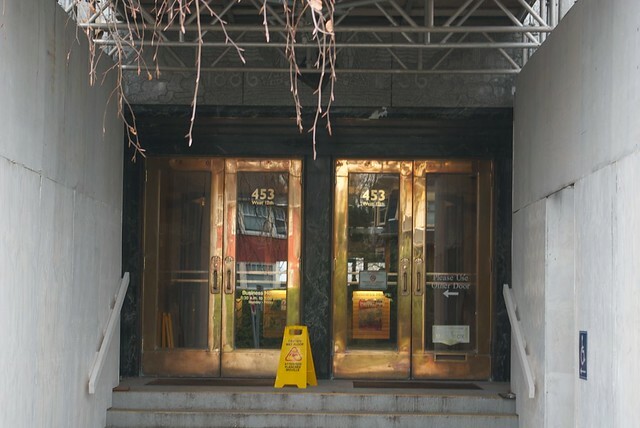 Fifty of those speakers were at council to speak against a motion to build condos in the downtown eastside under the Height Review plan (see yesterday’s Editorial). 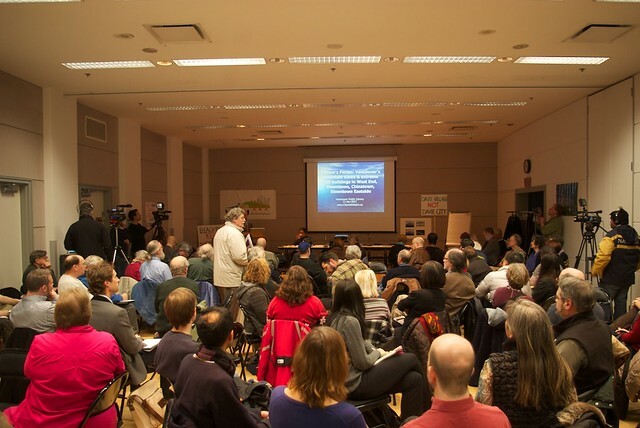 This means that instead of delaying all plans until public consultation is completed in December 2011, the City is trying to defer public input while rushing ahead with existing plans under the Height Review. 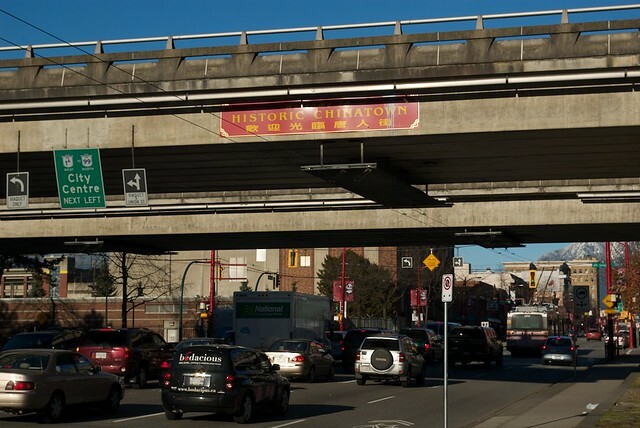 According to a Carnegie Community Action Project press release, “five of the condo sites in Chinatown may be going to public hearing in February and could still go ahead.” City policy recognizes that Chinatown is inside the downtown eastside, but now they are treating Chinatown as a separate entity in order to avoid criticism and input. According to Harold Lavender of CCAP, “I live in Chinatown and they just broke the DTES into artificial pieces based on the priorities of developers. If I had a say, I could have influenced their decision. 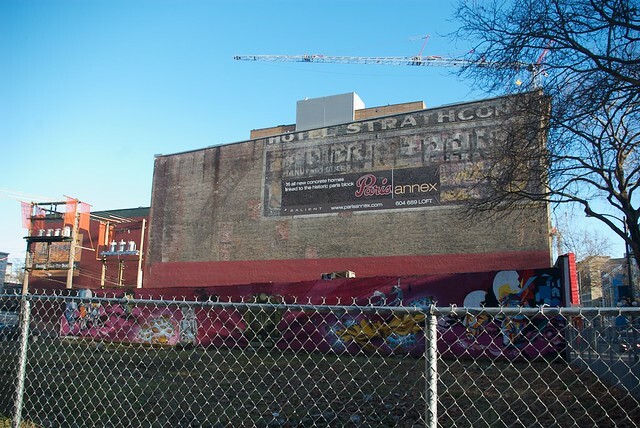 This process is a travesty.” If the City is actually serious about hearing from the downtown eastside, they will stop condo plans for Chinatown until at least December 31, 2011. Mayor Robertson and his party won power on the backs of the poor, claiming to represent their aspirations and promising to “End Homelessness.” Today, Vision Vancouver is waging war on the Downtown Eastside, the last refuge for Vancouver’s low-income residents. 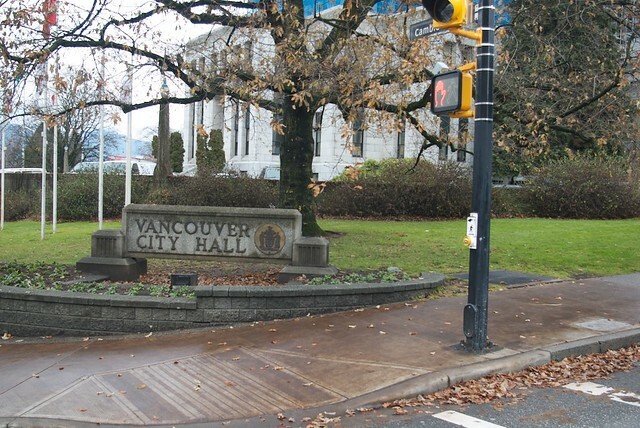 One might wonder at the use of a military analogy – “waging war” – but sadly Robertson’s party has employed ruthless political tactics to outmaneuver Vancouver’s most marginalized residents who, despite negligible resources, are nonetheless fighting back stronger than ever. As we have reported previously, Vision Vancouver is moving to implement the NPA’s gentrification plan for the Downtown Eastside (deceptively called the “Historic Area Height Review”). The plan, which goes to Council for a vote this Thurs, Jan 20, calls for seven 15-storey condo towers in the Downtown Eastside. 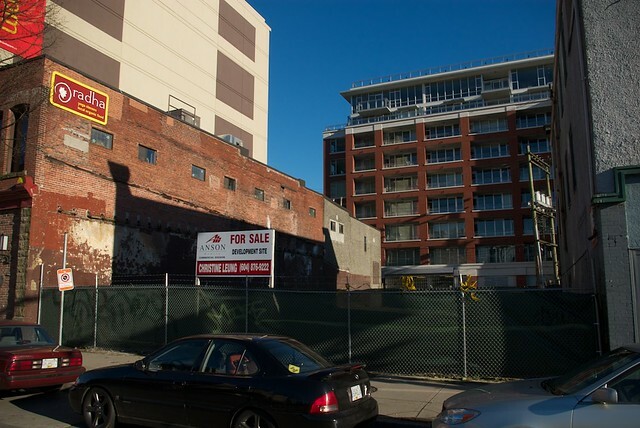 It is certain that these developments would impact surrounding property values. Low-income residents, as well as the stores, services, and amenities they use, would be displaced at a pace even greater than what is already underway, with the social and economic goal of gentrifying a low-income community by importing a new class of residents (which City Planning staff like to call “body heat“). To distract the broader public from their undemocratic plan to gentrify the Downtown Eastside, the Vision-led City Council will be voting on a separate “view-corridors” proposal for towers in the central business district at the same Jan 20th meeting as the DTES plan. The City has purposefully attempted to link these very different plans in the public’s mind, with some success. The supposed link between them is the abstract notion of “height.” The two plans both deal with building heights, but will inevitably have more significant impacts on density and social demographics. Focusing on height instead of density changes the debate. This article from Sunday’s Province, for example, is stuck in the City’s frame about “height,” ignoring any question of social impact, and referring only fleetingly to the Downtown Eastside at the end of the article. 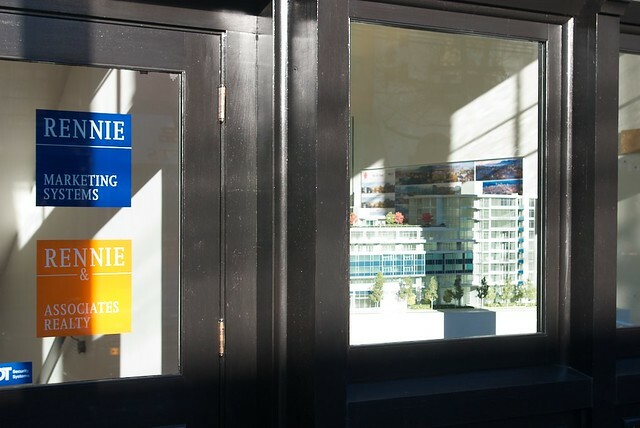 In a letter written to City Council in advance of this Thursday’s vote on approving new condo developments in the Downtown Eastside, former Vancouver Mayor and BC Premier Mike Harcourt has written a letter to the current Mayor and City Council criticizing their approach to community development in the area. Harcourt emphasizes that the City’s proposed rezoning package would not only increase building height, but would of course add density to the area – a new cohort of residents would be brought into the neighbourhood. Rents could go up, and the things that current residents need and enjoy could be priced-out. It is well known that this is a uniquely sensitive area of the city. Shifts in its populations brought on by inadequately considered rezoning could be extremely harmful to the affected communities. Unforeseen displacements, deficiencies in services and amenities, and disruption of community assets may well result. Harcourt suggests that the City should do an analysis of the impact of such demographic shifts before making decisions about particular rezonings. More importantly, community development should take a holistic approach that recognizes and addresses social issues: “We question why there is priority for this ‘height-only’ study when there is a serious lack of overall social, economic and environmental planning for the DTES?” asks Harcourt.